OIL and gas counters have been in the spotlight of late, as many of them recorded dramatic increases in their share prices, and then fell as investors took profit. At the forefront of all the attention, however, was O&G support services provider Dayang Enterprise Holdings Bhd. 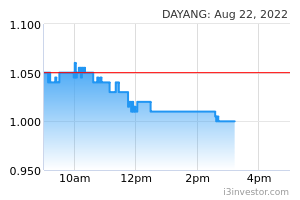 Since the beginning of the year, Dayang skyrocketed by a spectacular 216% until mid-March, after which it fell some 23% over the past week. As would be expected, social media and online forums were abuzz with heated discussions on whether or not to hold on to the stock. The discussions took a sensational turn, however, following a series of blog posts by prominent investor Koon Yew Yin. 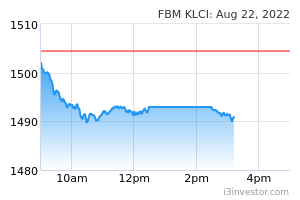 Koon, who is known for making big bets on certain listed companies and then promoting them through his blog or during road shows, was seemingly irked by three research houses turning cautious on Dayang and downgrading the stock – leading to a plunge in the share price. kelvin61 What he's doing is wrong. In fact, he should be investigated and not these brokerage firms. He's using the social media blog to promote his shares after buying it earlier. This is a form of stock manipulation because he will not tell you when he is selling but encourages you to buy his stock. Isn't this stock manipulation? (2.6m shares buyback April ) Philip No that is just promotion. Stock manipulation is when you buy big amount at low price ( but controlled by SC 5% declaration limit alarms), create fake volume, sell small amounts at ever higher price to create new highs. Then when general public notice and start buying in, you dump it all on the unsuspecting public, crashing the stock. That is why you have road blocks like limit up and limit down to protect amateur investors. But still, why you invest in penny stocks that can be easily manipulated in the first place? And more importantly, why don't you look at major shareholders( top 30 distribution) when you buy stocks? Its all in the annual report for a reason. experttanengyee ooi teik bee,koon tee yin,calvintaneng.minority shareholders should start exercising their rights to SC and file police report. UnicornP And they also have UMA for suspicious rise and big volume. Investors can assess the company's reply. At last, you sendiri panai-panai. GoldenHarvest1 How do you know that it is only Yew Yin who is buying in big volume? There are thousands of guys who have bought maybe one twentieth the amount that Yew Tin has bought, or one tenth, or one fifth, or more. You are just assuming something which you cannot verify, and then talking like you are dead correct. GoldenHarvest1 It is you who is being the drama queen.